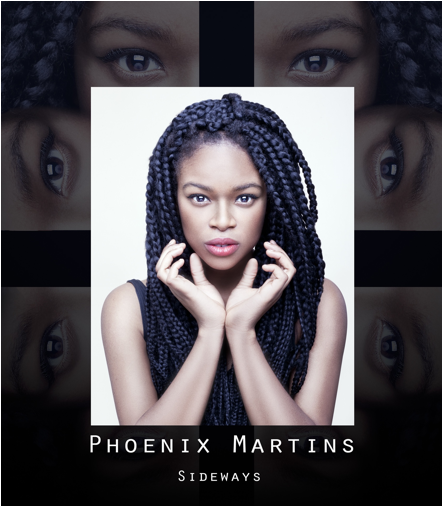 Home » england , london , Phoenix Martins , sideways » [LONDON] Phoenix Martins "Sideways"
I woke up after a LONG few days and Nights (which caused me to neglect my usual ESSINCE THROWBACK piece coinciding with "Throwback Thursday" BUT I woke up to an email about a singer named Phoenix Martins. Phoenix is a Nigerian-born East London resident whose voice has some Macy Gray* qualities to it but is very smooth and melodic. MTV says to “soak in her velvety voice” so I did. And it was refreshing. I could post more accolades from the press but I'd rather let you see for yourself why they said what they said.